Luiz Alberto Araújo, head of the Altamira municipal government environmental department in the state of Pará, was gunned down in an execution-style killing last Thursday. 448 environmentalists were killed in Brazil between 2002-2013 — half the total murdered worldwide. 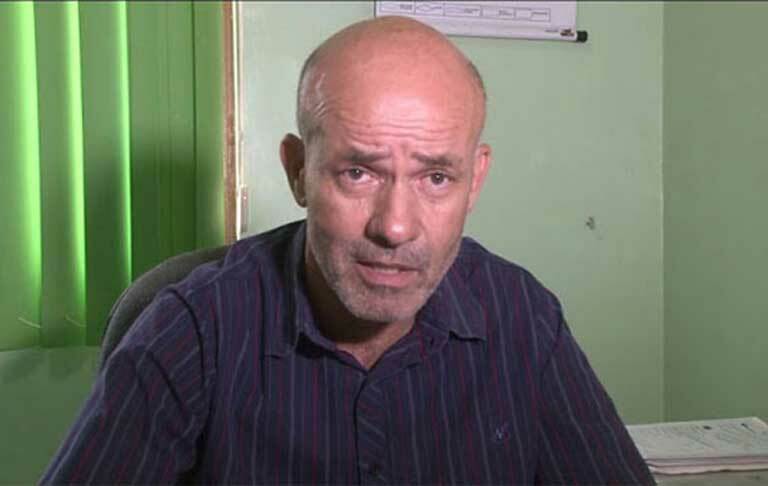 On Thursday 13 October, Luiz Alberto Araújo, 54 years old, who headed the environment department for the municipal government of the town of Altamira in the Amazonian state of Pará, was killed by two gunmen. They drove up to his car and fired nine shots into him, in front of his wife and two stepsons. Nothing was stolen and the killing is believed to have been a political assassination. In his endeavors to enforce environmental legislation in the largely lawless Amazonian region, Araújo made powerful enemies. He, along with others, provided information to the Federal Police and to Brazil’s Federal Public Ministry (MPF), an independent branch of government, that enabled them to launch Operaçāo Rios Voadores (Flying Rivers Operation) earlier this year. This illegal logging investigation, one of the largest in the Amazon in recent times, led to 24 arrests, including that of the ringleader, Antonio José Junqueira Vilela Filho, known as AJJ. He and his son were accused of illegally invading the Amazon rainforest, extracting valuable hard timber, slashing-and-burning the remaining forest and turning it into pasture for cattle. According to Luciano Evaristo, Director of Environmental Protection at Brazil’s environmental agency, Ibama, AJJ developed a new method for clearing the forest. “He employed geo-processing technicians to organize numerous small-scale operations”, he said. The technicians made sure that the tallest trees were left standing so that the satellites operated by INPE (National Institute of Space Research) did not detect the wide-scale felling that was happening below the canopy. According to the police, the laborers clearing the forest were held “in conditions analogous to slavery”. AJJ’s group cleared 294 square kilometers (113 square miles) of forest around Altamira. AJJ was fined R$119.8 million (US$37 million), the biggest fine ever imposed in the Brazilian Amazon, for ten years of illegal forest clearing. More recently, in February of this year, Araújo’s team collected tons of dead fish secretly buried near the giant Belo Monte hydroelectric dam, located on the outskirts of Altamira, that began operation earlier this year. As a result, Norte Energia, the company in charge of Belo Monte, was fined RS$35.3 million (US$11.0 million) for the 16.2 tons of fish illegally killed during the flooding of the dam’s reservoir. Araújo is the latest in a long list of environmentalists assassinated in Brazil. According to the NGO Global Witness, 448 environmentalists were killed in Brazil from 2002-2013. This was half of the total killed worldwide.